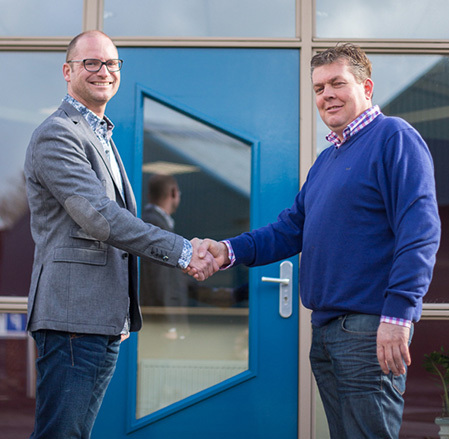 Simba Vegetables BV is founded by Robert Sijm and Maurice Ott on the 1st of April 2014. We are located in Zwaagdijk-Oost, which is about a hour from Amsterdam by car. Simba and Sijm Agro bv are located at the some location. Many of the products we export are cultivated in the area, for example; potatoes, onions, cabbages, carrots, cauliflower and broccoli. Because all is these products are grown in the area we can closely watch the cultivation and processing of our products. Moreover, most of the processing of our products takes place at our location. Due to this short supply chain we know what product is exported to you. Short supply chain because we grow, sort, pack and sell products which we cultivate ourselves. All products have to meet the high Simba Vegetables quality standards. Flexibility, we can supply our products in all sizes and packaging. We supply our products according to our terms and conditions. Many years of experience, in export and transport all over the world. We can arrange all documentation for export and the transport for you. We use modern software; Green Commerce, which is specifically developed for the agriculture industry. For our cabbage marketing we collaborate with the English company Naylor Farm, please have a look at www.cabbageking.nl. Our slogan is: “Attention to Detail”, therefore we pay attention to the whole process. A deal is a deal and we strive for 100% attainability.